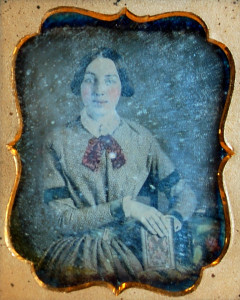 Sarah E. (Barnard) Abbott (1829-1902) was a thirty-one year old widow when the war broke out, living with her parents, younger siblings and five-year-old son in Frye Village. Since her husband J. Edward Abbott’s death in a railroad accident in 1855, she had worked as a “tailoress.” In 1870, she still lived at home, but her occupation is listed as “nurse.” She never remarried, and lived with her son Charles until her death at the age of seventy-three. She is buried with her husband in West Parish Cemetery.